I’m a veteran editor and writer, with four decades of full-time work in book publishing, focusing especially on Christian books of all kinds. I’ve also edited numerous business and leadership books, memoirs, and fiction titles. 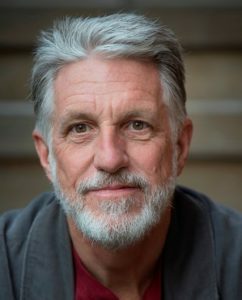 Projects with publishers such as Crossway, Zondervan, WaterBrook/Multnomah, NavPress, Harvest House, and David C. Cook, including work with the following authors on these projects: ●Randy Alcorn, The Goodness of God, The Chasm, the Study Guide for If God Is Good…, and Hand in Hand: The Beauty of God’s Sovereignty and Meaningful Human Choice ●J. I. Packer, The J. I. Packer Classic Collection ● Susan Parris, Cancer Mom: Hearing God in an Unknown Journey ● Dr. Hassan Tetteh, Gifts from the Heart ● Leonid Belov, the novel Mysteria ● Jerry Bridges, Holiness Day by Day and 31 Days Toward Holiness ● Jerry Bridges and Bob Bevington, The Bookends of the Christian Life ● John MacArthur (and others), The Inerrant Word: Biblical, Historical, Theological, and Pastoral Perspectives ● Jon Dennis, Christ + City ● Bob Kauflin, Worship Matters and True Worshipers ● Tullian Tchividjian, Jesus + Nothing = Everything, Surprised by Grace, and Unfashionable ● Ruth Myers, 31 Days of Encouragement and A Treasury of Praise ● Henry Blackaby and Melvin Blackaby, Experiencing the Resurrection ● Richard Blackaby, The Seasons of God and Unlimiting God ● Thelma Wells, God, I’m Ready to Walk by Faith, Don’t Give In—God Wants You to Win, Ready to Win over Worry and Anxiety, and God, Give Me Victory over Anger ● Dave Harvey, Am I Called? ● C. J. Mahaney and others, Worldliness: Resisting the Seduction of a Fallen World ● Voddie Baucham, Family Shepherds ● Marion Duckworth, Naked on God’s Doorstep ● Don Cousins, Unexplainable ● Holly DelHousaye, SoulWork ● Andy Stanley (numerous study guides to accompany his books and his video presentations of various sermon series), plus numerous study guides on Old Testament books for the NavPress LifeChange study series. Worked on fiction projects such as Gifts of the Heart by Hassan Tetteh; Miracle of Mysteria by Leonid Belov (translated from Russian by John Meredig); and The Chasm by Randy Alcorn. Worked on memoirs such as Little D and the Bee by Randy Mead, and Being in Brooklyn by Liam Krol. Worked on leadership/business/life-change projects such as Getting F.I.T. : Unleashing the Power of Fully Integrated Teams by Jim Leighton; study guides for John C. Maxwell’s 15 Invaluable Laws for Growth; Steven VanCauwenbergh’s The Savvy Landlord; Dale C. Bronner’s Trajectory; the study workbook for Ron Blue’s Master Your Money; Dave Harvey’s Rescuing Ambition; Leader-Shift by Don Cousins and Bruce Bugbee; and When Work and Family Collide by Andy Stanley. Led weekly editors forum (for editors from two Strategic Publishing Groups) to enhance editorial skills, creativity, and big-picture thinking. Developed first drafts (from various author sources) for several books, then worked with the author to shape the final version. Among these projects were: I am Not But I Know I Am by Louie Giglio; Experiencing the Cross by Henry Blackaby; The Indwelling Life of Christ by Major Ian Thomas; 31 Days of Power and ChristLife by Ruth Myers; The Prayer Matrix by David Jeremiah; and Humility: True Greatness and Christ Our Mediator by C. J. Mahaney. Edited numerous other books, including: Experiencing Prayer with Jesus and Experiencing the Resurrection by Henry Blackaby; A Contrarian’s Guide to Knowing God by Larry Osborne; Bridge Called Hope by Kim Meeder; God Is Not Through with Me Yet by Thelma Wells; Women, Take Charge of Your Money by Carolyn Castleberry; One Marriage Under God by Norm Wright; The Two Doors of Heaven (fiction) by John Bolin; Jesus in the Margins by Rick McKinley. Wrote the preteens fiction book What Would Jesus Pray? Editorial leadership in establishing a solid foundation for this startup company’s editorial direction. Developed first drafts (from various author sources) for several books, then worked with the author to shape the final version. Among these products were: In Light of Eternity by Randy Alcorn; Our Covenant God by Kay Arthur; The Perfect Love and The Satisfied Heart by Ruth Myers; and the Jerry Bridges trilogy I Exalt You, O God, I Will Follow You, O God, and I Give You Glory, O God. Bachelor of Journalism degree in 1974 from the University of Missouri School of Journalism, Columbia, Missouri.